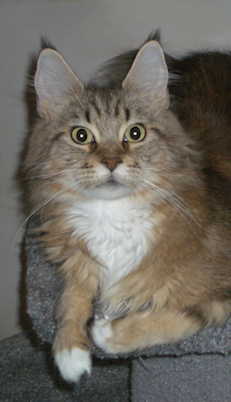 Chinook (HapiK Chinook of Pinecoon) had her first litter with us in early May 2008. Dad was Callan. 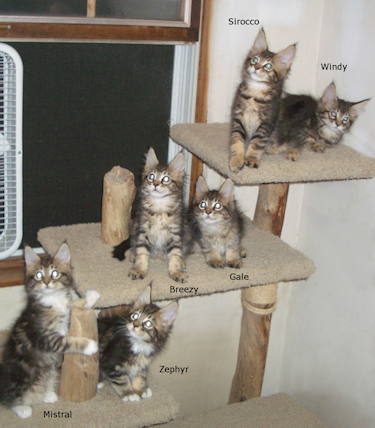 There were six kittens; we gave them "wind" names after their mother. 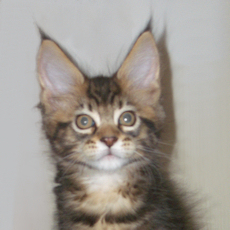 Our "wind" litter was born in May 2008. 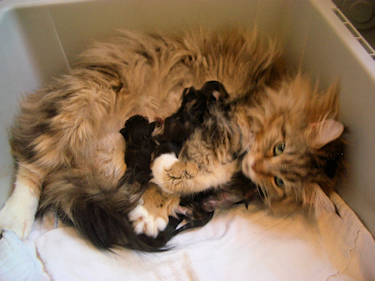 All kittens in this litter have been adopted.